New York City’s Botanical Garden has served as a tranquil oasis in the concrete jungle for 125 years. 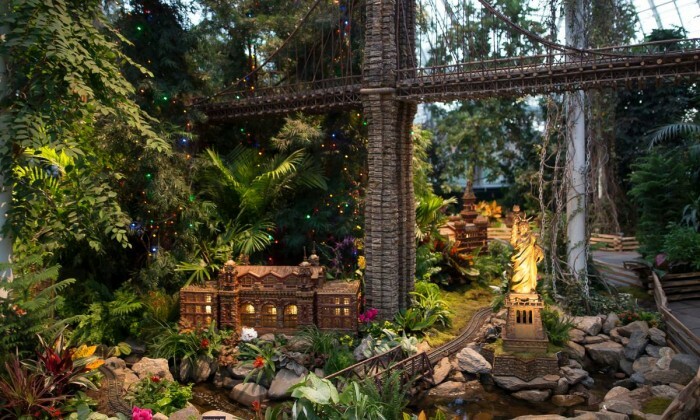 For the last 25 years, the garden has hosted a Holiday Train Show. 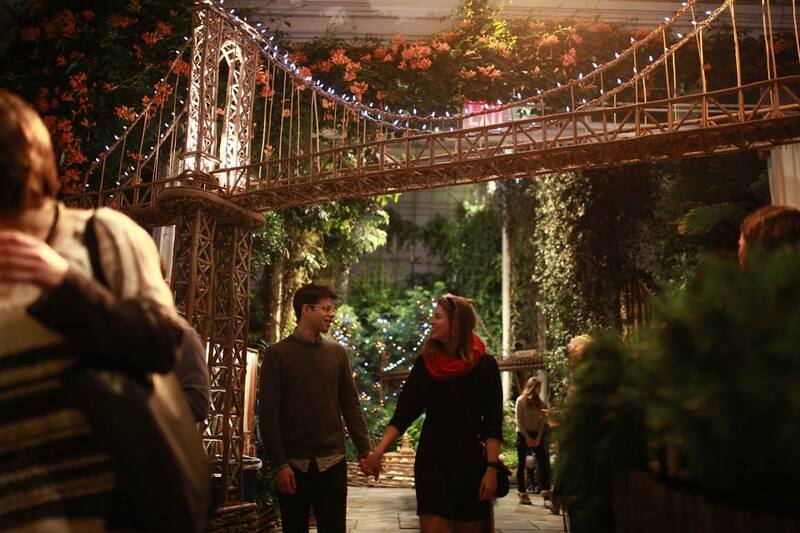 The annual event turns the Botanical Garden into a winter wonderland with model trains zipping through more than 150 NYC landmarks. It’s a celebration made for kids from one to 92, especially when mixed with programming made for older “children.” Navigate the tracks using the roadmap to the 25th anniversary of the Holiday Train Show. Beginning Nov. 19 patrons will have the opportunity to marvel at large-scale locomotives dashing through a display of 150 NYC iconic landmarks. Expect sites like the Brooklyn Bridge, Statue of Liberty and Rockefeller Center on nearly a half-mile of track. The most impressive part: Each attraction is recreated with bark, leaves and other natural materials for a truly handcrafted experience. The finale features a whimsical performance commemorating the Coney Island amusement park’s architecture and attractions. Also part of the Train Show, guests will have the liberty to venture around the 250-acre reserve for special tours, a cappella performances, Winter Harmonies concerts and a poetry reading with recently named poet laureate Billy Collins. Ends Jan. 16. 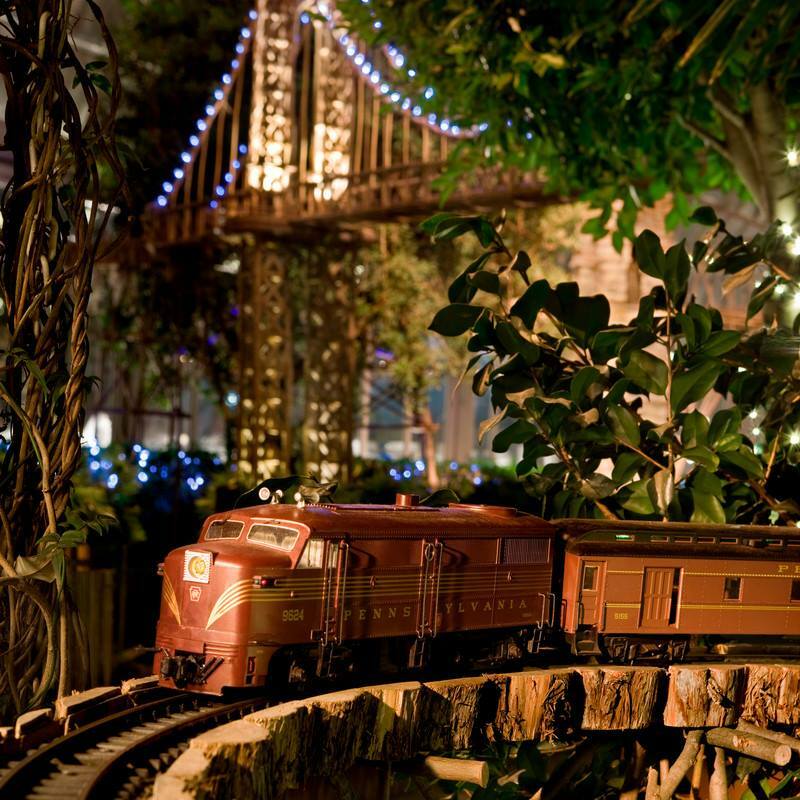 For those who can never sneak away for happy hour let alone a Holiday Train Show, the Botanical Garden hosts an after-dark viewing of the holiday train show. There will be cocktails and pop-up acts highlighting some of NYC’s popular street performers like the Cartier Williams Dance Theatre whose founder, Cartier Williams, has danced for presidents and performed on The Oprah Winfrey Show, Good Morning America and The Tonight Show. There’s also stilt walking, an LED spectacle, an ice sculpting demonstration from the Okamoto Studio and soulful music by The Lovesome and The Smoke Rings. 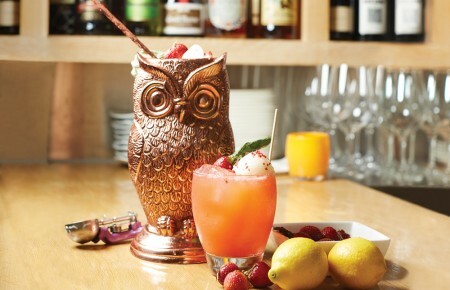 Festive treats include spiked cocoa, wood-fired small plates and sweets from the Pine Tree Café. Takes place selected nights from 7-10pm, ends Jan. 14. 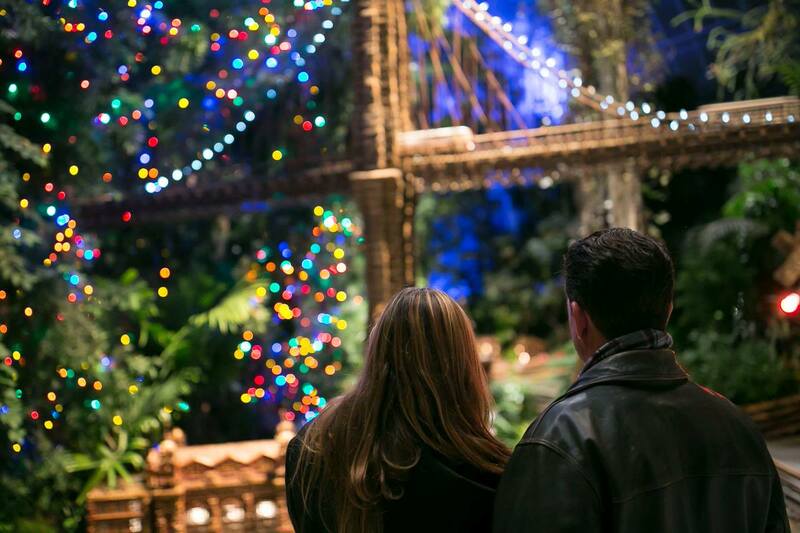 On Dec. 16 and Jan. 7 become a VIP at Bar Car Nights with your own private entrance to the Conservatory. 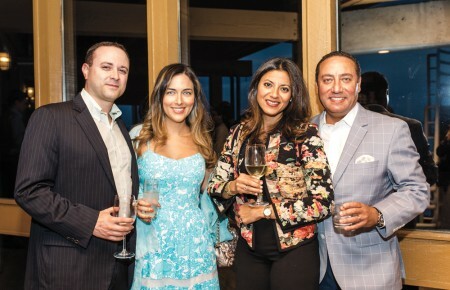 Read: You get to skip the line and have access to an open bar with wine, beer, specialty cocktails and light bar fare in an exclusive location in the conservatory. Enough said.